Metal Types Pressing Of Pipe Elbow Joints,Hot-pressing elbow is used to change the direction of pipeline, so it is widely used, mainly used in chemical industry, civil, construction, industrial production, etc. The elbow is used in pipe turning a pipe. In the pipeline system used in all the fittings, the largest proportion, about 80%. 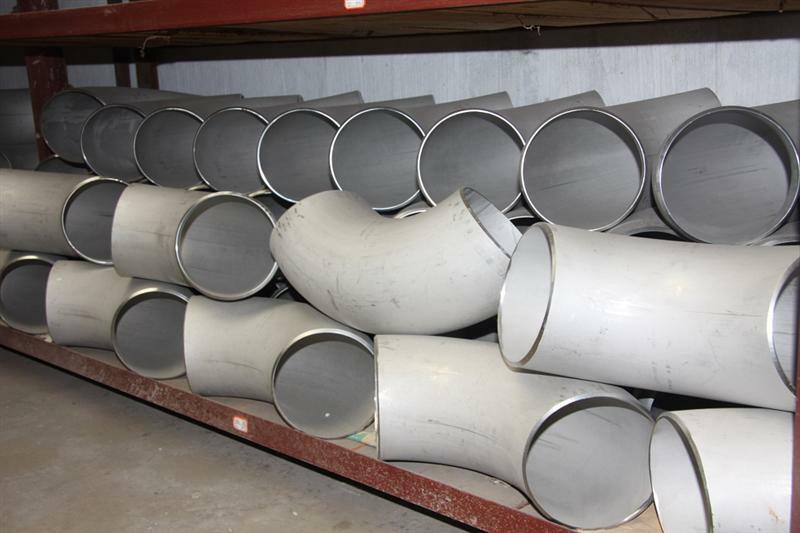 Typically, different materials or wall thickness of the elbow choose a different forming process. Commonly used in manufacturing seamless elbow forming process with hot push, stamping, extrusion and so on. The concrete production method is that: the hot-pressing elbow is heating the pipe to be processed by professional equipment, then cutting and heating to above the critical temperature, and the heat preservation is quickly put into the quenching agent after a certain period of time, so that the temperature is suddenly reduced to be greater than the critical cooling Speed rapid cooling method made of elbow. Quenching is the elbow to the critical temperature above the insulation for a period of time, and then quickly into the quenching agent, the temperature suddenly reduced to greater than the critical cooling rate of rapid cooling, and get martensite-based Heat treatment method of balance structure. Quenching can increase the strength and hardness of steel, but to reduce its plasticity. Quenching commonly used quenching agent: water, oil, alkaline water and salt solution. Normalizing is the hot-pressing elbow heated to above the critical temperature, so that hot all the elbow into a uniform austenite, and then in the air natural cooling heat treatment method. Normalizing can eliminate in addition to eutectoid hot pressing elbow of cementite, for sub-eutectoid hot-pressing elbow can be refined lattice, improve the overall mechanical properties, the requirements of the elbow is not high with normalizing Instead of quenching process is more economical. Looking for ideal Metal Pressing Elbow Manufacturer & supplier ? We have a wide selection at great prices to help you get creative. All the Pressing Elbow Joints are quality guaranteed. We are China Origin Factory of Metal Types Pressing Elbow Joints. If you have any question, please feel free to contact us.